It’s been a busy few weeks for Jamie. So I have gathered the highlights from the last couple of weeks, to bring you all up to date. NEW GIG ALERT! Jamie will be playing at the Leopolis Jazz Festival in Ukraine on 27th June (Gig announcements post updated). Tickets on sale here. In the past week, Jamie has performed at the BBC’s Biggest Weekend in Scotland and Coventry. Here are the highlights. What’s so funny @DJTrevorNelson and @jamiecullum? ? 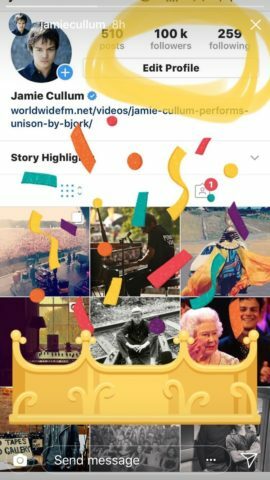 This appears to be Jamie’s full show from Scotland. Watch it quick before it’s no doubt removed from YouTube. As part of the BBC’s Biggest Weekend celebrations, Jamie gave a masterclass at North Muirton Primary School. Jamie performed new song “Mankind” at the 606 Club on 22nd May. Here is the video filmed by Sarah Wilson. In short, I think this song is beautiful. What do you think? A great review of the 606 performance from Jeff Prestridge. Jamie is recording Song Society 10 on 14th June – so watch this space! We’re going to do another bit of filming/recording on the 14th June! Thank you for reading 🙂 If you would like to receive the latest Jamie Cullum news by email, please subscribe to the newsletter. So super! Well done Jamie! Great news. Every bit. Cheers! !